You've just arrived home, you're looking down, faffing about with tangled earbuds and hanging up your jacket before dashing into the kitchen to get dinner started. And your smart home security knows it doesn't need to do a thing because it recognises you. How? Netatmo's new £199 smart home camera, Welcome, which goes on sale in the UK this week, features proprietary face recognition technology that has taken Netatmo over two years to develop. After you upload one image per person and 'tag' them in around ten stills taken from the Welcome camera's footage, it can then recognise your family members, friends, cleaners and babysitters as they move around the house. There's no need for them to stop and look directly into the camera, ePassport style. Once the profiles are set up in the app for iPhone, Android, PC and Mac, you can get alerts and a timeline of when each family member was seen in the house with options to choose not to record video to respect everyone's privacy - kids, elderly parents, guests etc. What's really clever is that when the Netatmo cam detects a face it doesn't recognise, it sends you a livestream video for you to either confirm that it's simply a friend you don't have a profile for or if it's an intruder. The Full HD video can be downloaded from the app if you need it as evidence to give to police - there's even "night vision" via an infrared LED. 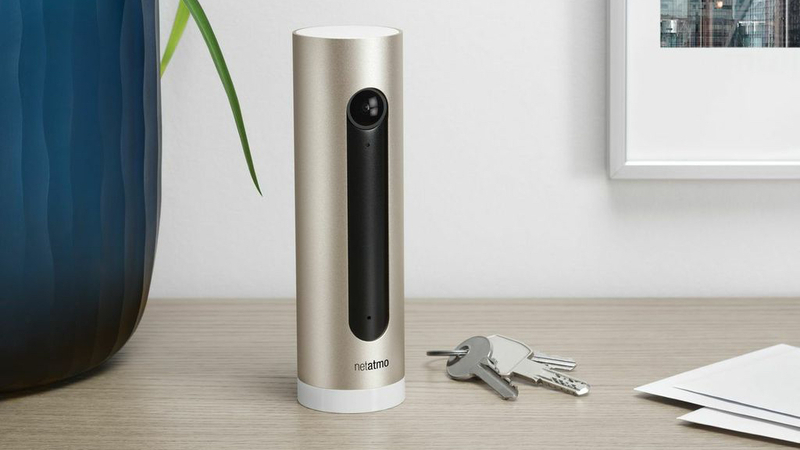 Multiple cameras can be set up around the house - front door and back door, say - and one account can be used to manage Netatmo cameras in different properties. All the processing is done on the camera itself which takes care of any privacy concerns and the footage is locked if the microSD card that's used for storage is removed from the camera. Netatmo's COO, Matt Broadway, told Wareable that the Welcome range will be expanding later in 2015 to include a £99 three pack of motion sensors which can be placed on expensive items around the house, on windows or motorbikes, for instance, and send notifications to the app when disturbed. More accessories for both the Welcome camera and the Netatmo smart thermostat are on the horizon too. The camera itself is a sleek cylinder made from anodised aluminium and won't shouldn't look too daunting in the house. In terms of integration with existing Netatmo products, Broadway is keen to stress that the company isn't interested in smart home "gimmicks". "We want to build on existing categories - people already use thermostats, make it connected. People already use security cameras, make it connected," he said. "The face recognition really is that overused word - revolutionary - because it gives you peace of mind about who's at home."